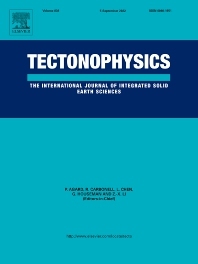 • Innovative development, including testing, of new methods in geophysics and geodynamics. • Fast track papers for short, innovative rapid communication, which will usually be reviewed within three weeks after submission. More information about this paper type can be found within the Guide for Authors. • Comprehensive invited review articles which provide an overview of significant subjects. Abstracts of maximum 300 words describing the objectives of the research, and the rationale and methods (if relevant), should be included for all article types: regular, fast-track and invited review. In addition Special Issues devoted to a single topic, and edited by an authority in that field, are also published.